LGS International Chiropractic - Do I Need Chiropractic ? Do I Need Chiropractic ? People usually do not realize their health is in an imbalance condition until their physiological alarm is firing. The most common signs of symptom that people notice are ache, pain, stiffness, and decrease in mobility. For a chronic health problem to develop, it normally takes a period of time and might not be obvious at the initial stage unless it is an accident. When significant symptoms appear, they signify that the body has been in imbalance for quite some times. This is also like a “red flag” that the body is warning for further complications and asking for “ASAP” intervention. In fact, many people are living in their imbalance health everyday. Some of them do not know that they are in imbalance simply because they do not feel any symptoms. Some of them realize their imbalances, but ignore the problems because the imbalances do not affect their daily activities at their current stage of health. Either group of people will choose to live with their imbalances, until their bodies accumulate enough problems that prevent them from moving onto their daily activities. Chiropractic focuses on the optimal function of the spine and nervous system because the nervous system controls everything in the body. Spinal problems are usually due to chronic spinal misalignment which causes alteration to the nervous system living environment thus leading irritations to different parts and systems of the body. It is like a ripple effect. 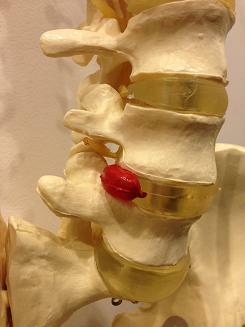 Symptoms do not usually show up at the beginning of the spinal misalignment unless it is a trauma. The body will alter other parts of the spine to compensate for the misaligned spinal region in order to allow the body to keep its daily function. Although the body is still able to function without symptoms or having minimal symptoms, the function of different parts of the body is altered. The altered functions of the body will stress out the body more easily and decrease the ability of function. When the body is not able to handle these stresses any more after a period of time, symptoms like pain, ache, and reduced mobility will gradually show up and build up. Onset of symptom is actually a red flag that the body is saying " I can not handle these stresses anymore, please help me!" Presence of symptom is not the beginning of the health problem. If the problem is ignored until further, it will accumulate to a bigger health problem and may lead to early degeneration over time. The healthiest way to live is to maintain the body in the balanced state of health. Allowing the spine and nervous system to function in its optimal state will allow different systems of the body to function at its best. Chiropractic is a profession in health that focuses on helping the spinal structure and the nervous system to function in the optimal state. Chiropractic check-up is highly recommended for everyone. A detail chiropractic physical examination is needed to evaluate the spinal and health condition. Each person is different in their health condition, cause of the current condition, severity of the current condition, degree of degeneration of the body, and pre-existing conditions. All of the information will contribute to the determination of the course of treatment. The course of treatment is different from patient to patient depending on doctor's preference and patient's condition. The detail chiropractic physical examination will reveal the structural balance state of health and will determine whether chiropractic care is appropriate for them. Seek chiropractic care when the body is in imbalance in the early stage, so that the imbalances do not accumulate and roll up like a snow ball which might lead to a serious health issue. Our mission is to Love, to Give, to Serve, In Chiropractic to our patients. We are here to serve and help you to reach your optimal health potential.